The Anna Wooden Electric Adjustable Bed is a very strong and substantial bed finished in a dark brown with black inserts. 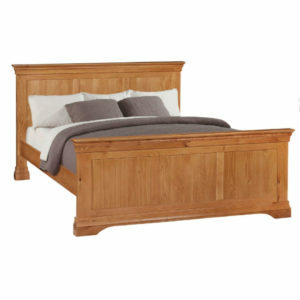 The bed frame features, a beautiful panelled headboard. 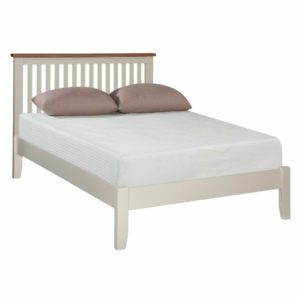 The photo is of a Single Mechanism/Single Mattress (4foot 6inch) Anna Electric Adjustable Bed. The 5 foot Anna is a Dual Bed, with 2 adjustable mechanisms, and 2 mattresses, for independent movement. Superb range of Bedroom Furniture available to complement the Anna Electric Adjustable Bed. Starting From €2,795.00(4Ft 6 inch). The Anna range of electric adjustable beds come with a 5 year guarantee on the bed base, and headboard. The adjustable bed mechanism is manufactured to the highest quality German standards, and has a 5 year guarantee. Most of our mattresses are manufactured in Ireland. All our Adjustable Beds are fully delivered & installed by our trained engineers. The Anna is also suitable for High Low/Vertical Lift/Carer’s Bed Mechanism, which makes it far easier for carer’s to get easy access to their clients. The Anna is a beautiful modern Dark Brown with Black Inserts Adjustable Bed with a beautiful contemporary style that is unique, which will complement any bedroom. Size 5ft : is a Dual Bed, with 2 separate mattresses, 2 separate adjustable mechanisms, and 2 separate mattresses, for independent movement. Bed Height : (from floor to top of mattress). Our standard adjustable bed height is 22 inches from the floor to the top of the mattress (like most beds). To make sure the height of your new adjustable bed is correct, before ordering, please measure the height of your own bed first. We can make your bed to any height you wish. 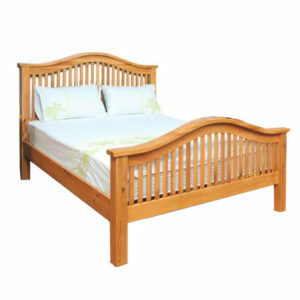 The picture shown is a small Double Bed(4ft 6inch). The bed also comes in a Dual(5foot). A Double Bed has one mattress. A Dual Bed has two separate mattresses, and two separate mechanisms (for independent movement). Matching range of furniture to suit this bed.